Three of the best S&C ranges from L'Occitane, Redken and Moroccan Oil. Thanks to the likes of Brad Pitt, Johnny Depp, Jared Leto and Chris Hemsworth, and about the 100-million hipsters walking the streets of Cape Town, it has now become a requirement for men everywhere to ensure a healthy-looking and shiny main – I mean head of hair. Actually, various research papers into consumer spending trends reveal that one of the fastest growing sectors within the beauty industry in South Africa is, in fact, the men’s grooming market, and hence, we have seen more and more products landing on the supermarket shelves specifically targeting men. 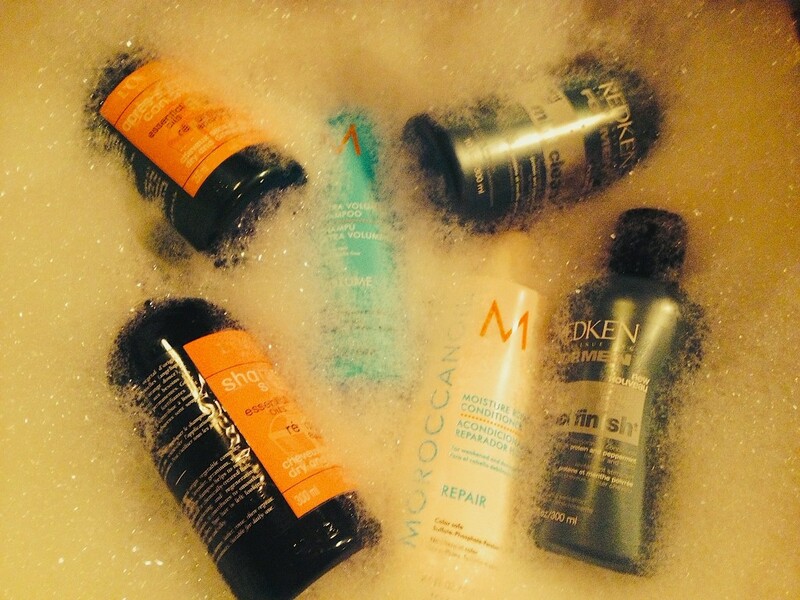 So, when it comes to a great shampoo and conditioner, what should you consider? Well, after testing about 10* different shampoos and conditioners over a 4 month period, here is my recommendation of the best. Three of the best S&C ranges from L’Occitane, Redken and Moroccan Oil. This range is perfect for hair that has been damaged due to ongoing styling and heat application. There are times when even a guy needs to give some TLC to the top of his head, lest he risk loosing all his hairs. The Aromachologie Repairing Shampoo goes to work from the follicle to the tip, injecting the hair with an anti-breakage complex, made with the following 5 essential oils; ylang-ylang, sweet orange, lavender, geranium, and angelica, and also include plant-derived amino acids and a bomb of Vit B5, which help repair the hair fiber. Important to note is that it is also silicone-free! The conditioner also comprises the 5 essential oils, but also includes sweet almond oil, and seriously tackles dry, damaged, colour-treated or chemically-treated hair. Used together, they are a power repair pack for hair that is in desperate need of care. On top of all that goodness, it has one great fragrance. The L’Occitane & Provence Aromachologie Repair Shampoo and Conditioner retail at ZAR265.00 (300ml) and ZAR265.00 (250ml) respectively, and are available at the L’Occitane online store. Well, we all know the of the hype of Moroccan Oil. At every turn people are stating how “fabulous” the range is – which is probably why I developed just a skeptical view of the range, and why it took me so long to bother trying it out. At first, I wasn’t too impressed with the S&C combination, and I didn’t think it it did much for me, especially because I was expecting some huge, miraculous change after the first wash (as so many had professed to have experienced). It wasn’t until I went for my bi-weekly trim and had a #TotesAwks experience with my barber that I started to see a change. Now, my barber is one of those extremely overweight Algerian men that come from a long and proud line of barbers. He doesn’t care much for his own personal appearance, but when it comes to hair, to him, its as serious as pasta is to Italians. So when he starts to run his hand through my hair repeatedly, humbling something in Arabic with a look of wonder and near0orgasmic joy in his eyes, then I know that my hair must be something special. Moroccan Oil can, apparently, bring out the gay in anyone. So what’s the secret? Apparently its because of Moroccan Oil’s original, proprietary argan oil-infused blend that also includes avocado oil and antioxidant plant extracts (rosemary, lavender, chamomile and jojoba). In addition, it contains silk amino acids, keratin, proteins and other nutrients. The Moroccan Oil Volume Shampoo and Repair Conditioner (recommended) retail at ZAR210.00 (250ml) and ZAR220.00 (250ml) respectively, and are available at most high-end salons. And then we come to the Redken for Men range, which is infused with Mint – or more precisely Peppermint. This range was introduced to be through a trip to a different hair salon, and was bought on a whim when I reached the counter. The bottle was interesting in its design, the colour appealed to me, and, once I have smelled the shampoo, it was a sure buy. But, it was only when I tested it out in the shower did its truly great feature come to bare. Once you have lathered the shampoo and conditioner, the tingle starts to develop on your scalp, leaving your scalp with a sensation as though a cold wind is blowing on your head. Aside from the fresh, clean sensation and the S&C’s ability to revitalize the scalp and hair, the high degree of protein goes a long was to strengthening the hair. For the guy who is a bit sensitive about what people will say about the bottles in his toiletry bag, of the three S&C’s presented here, the Redken For Men Mint range is the safe bet. It may not live up to the luxury of L’Occitane or the hype of Moroccan Oil, but Redken For Men holds its own, and firmly so. The Redken For Men Mint Clean Shampoo and Cool Finish Conditioner retail at around ZAR260 (ml) each, and are also available at most high-end salons. * Incidentally, some of the other brands tested include: Organics, Clarins For Men, Head & Shoulders, American Crew, L’Occitane Volume range and Tresemme. Introducing the Ursula! A whisky cocktail that will knock your socks off.